Organic living does no have to be scary or difficult. BabyCenter.com and Healthy Child Healthy World have teamed up to create the Easy Organic Living community. Sponsored by Stonyfield Yogurt, Easy Organic Living was launched to educate moms on the importance of organic living and provide them with steps to do so easily. - Buy in bulk and save up to $500 a year! Head to Costco, BJ's or Sam's Club to buy some things in bulk (I love Cosco's organic peanut butter). If your grocery store has a bulk aisle, take advantage of it! - Eat all your leftovers. Here is a scary statistic: 14 percent of all the food that we buy ends up in the trash, equaling up to almost $600 thrown away each year, according to the USDA. - Drink more water. Instead of buying soda or juice, drink free tap water and save. And please, STOP BUYING BOTTLED WATER. Bottled water costs more than gasoline and creates a tremendous amount of waste. Invest in one reusable water bottle for each member of your family and both your wallet and your planet will thank you. - Purchase whole chicken. When you buy boneless skinless chicken breast, you are paying for the meat and for the time it took the butcher to cut it and clean it. A whole chicken is cheaper per pound and then you will have leftovers to make chicken sandwiches or maybe even chicken soup. 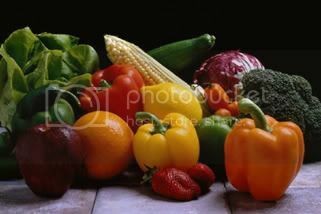 - Buy fruits and vegetables when they’re in season. Out of season produce will cost you more and has a bigger carbon footprint because it has been shipped in from another part of the US or even another country. So what do you say, are you ready to try this challenge with me? Let's do it! Now to be honest, I do a lot of these already. But there is always room for improvement so I took a harder look at these to see what I cold try a little harder at. Here are some changes that I have personally been making over the past 2 weeks. - I love to drink a big glass of apple cider every morning with my breakfast. However since I am the only one that drinks it, it really is not a necessity. Now don't get me wrong, I miss my morning cider. Somehow breakfast feels incomplete without it, but I am surviving. And at $5.00 per gallon that means right there that is $5.00 per week that I am saving. - With Lent upon us that easily gave me my one meal per week with no meat. We are not big red meat eaters but we certainly eat a lot of chicken. These past 2 Fridays we have made sure not to eat any meat. The first week we did a breakfast for dinner with lots of whole wheat pancakes. The second week was a ravioli dinner. I can't calculate exactly what the savings are on this, but those are two pretty inexpensive meals. - Shop your grocery store's sale circular. I'm not so good with menu planning, but I do try. One thing I always do is check out Stop & Shop's weekly circular and base some of my meals off of what is on sale. If I also see something that we use a lot of that is on sale, I will stock up. For instance whenever they have their Nature's Promise breads on sale, I usually buy at least 8 and then send my hubby back in another day for more. My 4 boys already have big appetites and I go through one loaf of bread per day. So when the bread is on sale for $2.50 instead of $3.39, I go crazy. (By the way, that's 89 cents savings per loaf). Luckily we have a big freezer. OK so now you are saving money, but what should you buy organic? I make sure that the things we consume the most are organic like milk, yogurt, bread and peanut butter. Next you will want to focus on your fruits and veggies. Check out EWG's Dirty Dozen list to see which produce you should really try to buy organic. I am participating in the Easy Organic Living Blogger Challenge however I was not compensated for this post. I will be receiving a goody bag for my participation. I'm going to head over a take the challenge so thank you for sharing! First of all -- I've been meaning to tell you that I LOVE your blog. LOVE it. Second, great challenge! I try to get organic veggies as I can afford them, sticking with the Dirty Dozen guidelines for my "must." I need to be better about saving money on bulk purchases; we don't have a Costco or Sam's Club membership, but our local grocery stores offer enough stock up sales that I really could do just those . .. if I'd just remember to do it! That makes me pretty sad that we throw away all those leftovers, and I'm terribly guilty of not drinking enough water. Those are great suggestions, I know we throw away a lot! I can't seem to get my family to eat leftovers. It's me and sometimes my daughter, but the other 3, NOT HAPPENING. I guess that's the blended family problem. Great suggestions - I admit I would never buy a whole chicken, but then we don't eat dark meat ;) - we're really trying to drink more water around here, I bought a Filtrete water dispenser that goes right into water bottles, and it has made a huge difference - I buy very little juice and soda at the store anymore. Hi from another EZ organic blogger:) I am enjoying your blog! Honestly, for me food waste is not just scary, it is also a sign of irresponsibility. Just think about the hungry people here and in various parts all over the world, especially in Japan where tsunami victims do not have access to food supplies. Anyway, thank you for this post. I have been buying in bulk for several months now with a group of friends my husband and I helped organize. We buy organic food in bulk and split the cost, thus saving us money, time, and storage space. It also keeps our supply always fresh. Since we are using an online tool called SplitStuff (http://splitstuff.com), splitting is very convenient. Here's to more savings this Lenten season!